2011 is already off to a good start. This month we have some mixes that may have slipped through the cracks last month as well as a handful of music from artists’ archives that are new to the rest of us. Star Slinger dropped an ep of “beats that were gathering dust” and Mux Mool put together an ep of beats made on a plane while touring last year. One of my personal favorites though, is the Clive Tanaka y su orquestra album that was recently made available for free. I love it so much I bought the 12,” its sea foam green and sounds just as lush. I hope you find something in this months collection you enjoy enough to help support the artist’s next endeavor. This is where I usually add… If you need new music daily rather than monthly, follow me on twitter @thinkorsmile. I typically post links there as they are discovered. Or you can follow my twitter list of music bloggers who are doing the dirty work of digging these artists up. Happy exploring. Clive Tanaka y su orquesta - Jet Set Siempre 1° – for dance, for romance. this will put you in an amazing mood. F O R T Y R H I N O M I X – chill blog pop with a pulse for the work day. Hard Mix – A Winter Mixtape [for LivingEars] – a soundtrack for letting go and falling deep into the dark sounds of a never-ending Winter. How To Dress Well – Mix for Altered Zones – a simple, straightforward mix of a bunch of fave TUNES of 2010. made in the airport. Honeydrum - Honeydrum ep - 80s lo-fi tropical garage pop. Trish Keenan – Mind Bending Motorway Mix – a mix of bonkers pop music. R.I.P. Trish Keenan. New Animal – Grow Back Out – nicely paced dynamic psych-pop. It’s Time For Music! – a kassetteklub sampler – sometimes challenging, sometimes beautiful pop music. steffaloo – various singles – heartfelt ukulele pop. with a couple collabs with blackbird blackbird. Secret Colours - Follow the Drone – subterranean garage psych rock. Audience - Cloudlike – morphing electro acoustic soundscapes that can suddenly have you toe tapping. Mux Mool – Drum EP 2 – beats made while on a plane. donate to the cause. Emay - Mind Altering Dynamics – wobbly hip-hop. Blank & Kytt - FastSlowJamz – instrumental beat tape. Stones Throw Podcast 64: Stones Throw 2011 mixed by Peanut Butter Wolf – 50-minute mix of current & upcoming Stones Throw Records for 2011. Daedelus Mixtape for International Tapes – magik, beats and psychedelia. 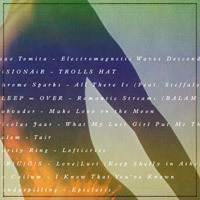 Star Slinger vs The Hype Machine – 2010 Music Blog Zeitgeist Mix (Sort of) – chill hip-hop & beats for the club. PAPER DIAMOND – LEVITATE EP – wall of beats and synth. J Dilla’s Donuts as Performed by Stray Phrases - dilla’s donuts played by a jazz trio. pretty tight. G e o t i c – Mend – a collection of songs from Will Wiesenfeld aka Baths that sound like an instrumental jam session with Bibio & Benoit Pioulard at a creek while documented on cassette. 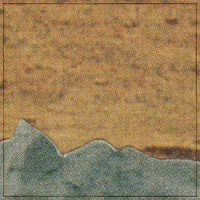 easily suede & blithe field split – warm airy ambient pop. free but toss them a couple bucks if you can, it’s worth it. 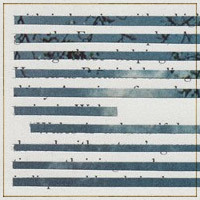 Morgan Greenwood – winter – electronic landscapes. Rafael Anton Irisarri & Keith Kenniff – Futuresequence Mix – a beautifully haunted work, bringing together Kenniff’s tender approach to the piano with Irisarri’s subtle use of field recordings and electronics.